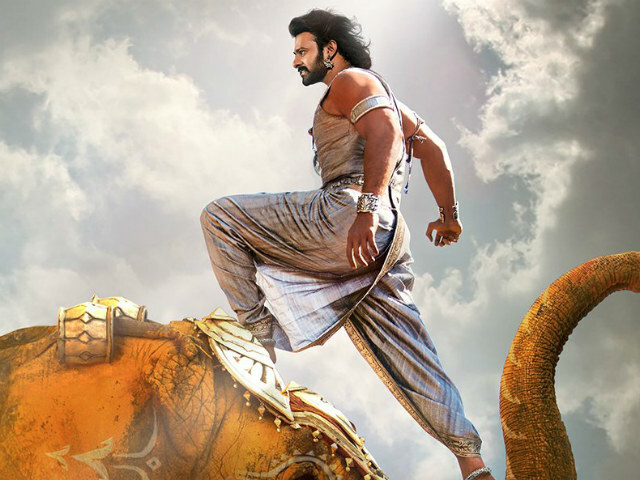 Baahubali 2 gives you the high of reading an amazingly written epic novel. Director SS Rajamouli has already transported us to the world of Magizhmathi in the first part, we lived with characters, know how they smile, cry and spill anger. However, there is still a mystery and excitement to watch the sequel. To be precise, the first part is the phase before the wedding, you think you know characteristics of your soon-to-be better half yet there is always a moment to experience an unexplored angle. 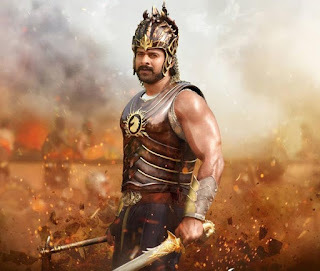 While the first part established the revenge angle and grandiose setup with stellar war sequences, the second part is filled with a lot of emotions but don't panic action movie fans, Rajamouli also has plenty of scenes spread in a royal plate for you. The plot of Baahubali 2 is simple, Palvallathevan (Rana Daggubati) cunningly kills Baahubali (Father Prabhas) through Magizhmathi Kingdom's royal slave Kattapa (Sathyaraj) and also arrests Baahubali's wife Devasena (Anushka). Saved by the sacrifice of 'Rajamatha' Sivagami (Ramya Krishnan), Shiva aka Mahendra Baahubali (Prabhas) knows the cruel death of his dad and takes revenge against his uncle Palvallathevan to enthrone as the king of Magizhmathi kingdom. The biggest success of Rajamouli is the way he elevates the mass heroism of his protagonist. Check out this scene for an example, in the interval block, Baahubali actually loses but with the help of the people of Magizhmathi, Rajamouli majestically projects him as a Godly figure. The voiceless newborn baby (Mahendra Baahubali) turns into a superhero with a single powerful dialogue uttered by Sivagami. Not only heroism, Rajamouli slowly but steadily injects the revenge flavor in our veins, when Palvallathevan tries to tear the heart of Mahendra Baahubali, we feel like breaking the head of latter and it happens. Palvallathevan treated Devasena like a slave so he deserves to die in a fire and it happens. A villain tries to sexually harass Devasena, we want his fingers to be chopped off, it happens and for that, she's captured as a prisoner, Baahubali enters and we want him to save her, it happens! Like a God, Rajamouli gives everything we wish, with Baahubali the director becomes an ultimate creator and executed a film, which the audience wanted right from the inception of Indian cinema. The true success of an epic film not only lies in the exceptional writing, the actors should rightly convey the emotions to the audience and man, Prabhas does it in style, he lived both as Amarendra and Mahendra Baahubali, be it in his shredded physique, sharp look and swag walk, his powerful screen presence gives an adrenaline rush. Anushka looked regal as Devasena, she got a powerful role and brings justice to the character with her authentic performance. Sathyaraj reiterated the meaning of veteran in style so as Nassar and Ramya Krishnan. Baahubali 2's another big hero is MM Keeravani, his songs and background score are truly epic. Also, kudos to the VFX team and cinematographer for their magnificent presentation. 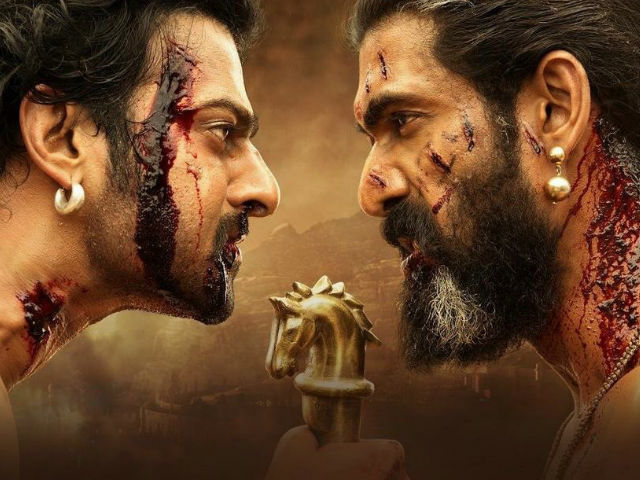 The only negative aspect of the film is the long drawn-out revenge portion and over the top action sequences in the climax but when we are ready to accept Spiderman, Superman and Ironman, why not the towering heroism of our own superhero Baahubali!